The area of the Little Assynt Estate comprises two of the old farms or townships of Assynt: Little Assynt and Loch Beannach. A lease of 1576 granted by Rorie MacLeod of the Lews to Neil Houcheon, one of the MacLeods of Assynt, included the lands of Assint Beg and Lowchbennuht. This is the earliest listing of the lands of Assynt. 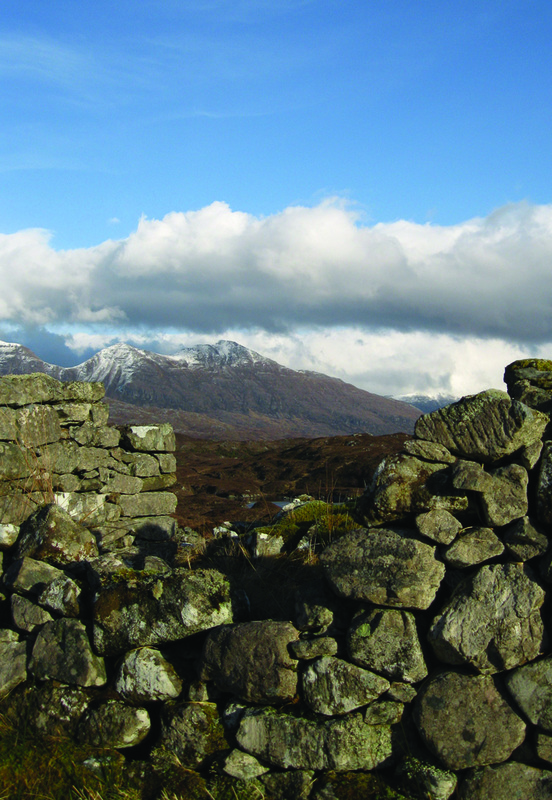 Tumultuous times over the following centuries culminated in the Clearances, which in Assynt extended from 1812 to 1821. 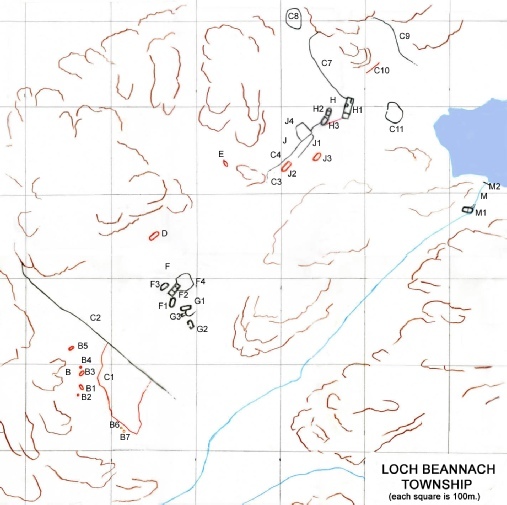 The local factor for Assynt, George Gunn, considered that the people of Loch Beannach were amongst the “poorest ad most miserable in the Parish” and should be cleared to the coast. Eleven households were removed to make way for sheep farming, with no resistance and it appears none of the houses were burnt. The low footings or foundations are all that is left of their stone and turf walled houses. Many were byre houses, in which the cattle lived at the lower end and the living area was at the other. People and animals lived together under one long low roof. Several of the houses had small gardens or kail-yards for potatoes and vegetables. Much of the nearby ground was cultivated for oats, bere (a form of barley) and potatoes. Traces of lazy beds can be seen on the wetter ground. The Trust is working with Historic Assynt to highlight the bygone lives of Assynt folk, to tell their story and record the heritage they have left behind.